1.Whole film packaging machine; 2.Anti-collision package edge; 3.Fumigation-free plywood wooden box with iron binding belt. This CNC engraver is for England special made black color, and you could order other color to make your factory more beautiful. 7. Continue carving after outage and breakpoint. Weihong NK105 is widely adopted in general type cnc rotuer. It has friendly interface, easy operated, support breakpoint processing, could support Chinese, English, Polish and Vietnamese. It powerful NC software alarm could support program error, operation error, overtravel error, PLC error, IO communication error etc, could protect the machine very well. 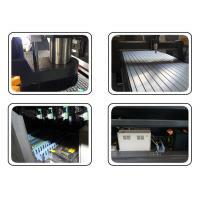 Cnc Router is widely used in Fuiniture Industry, Advertisement Industry, Decoration Industry, Crafts Industry, Mold Industry, Musical Instruments Industry, Seal Industry etc. 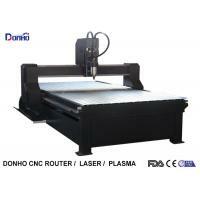 In the Advertisement Industry, cnc router is main for advertisement label and logo, blister molding, light box, signs, numbers, letters, fonts, trademarks etc, and usually for carving woods, acrylic, plastics, marbles, coppers, and other metal materials. 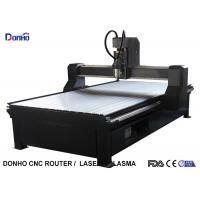 In the Decoration Industry, cnc router is suitable for a large area of plane engraving, solid wood furniture, carved wood art murals, wood carving, MDF Mianqi carving, kitchen window carving. 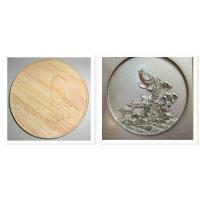 Is a new generation of furniture decoration industry. 1) Built quality control system. We built an effect quality control system to make sure every details under the quality control, and we adjust quality control system for better effect at any time. 2) Employee trainning. Our train all the staff to make every emloyee to know the important of quality, and help them to learn how to finish their jobs more sophisticated and more professional. 3) Material quality guarantee. All our partners have good reputation in CNC industry. 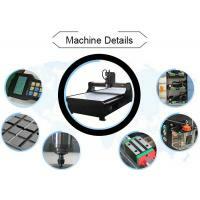 Further more, we check all the materials carefully to remove unqualified raw materials. 4) Auxiliary precision instruments. During the production, we adopt auxiliary precision instruments to low Hhuman factor error, to incream the precision. 5) Standardize the operation. We have a whole operating standard to make sure the production quality, and we check every details during the producing to reduce errors. 6) Finished product testing. We test the finished machine for 48 hours to test the accuracy and stability, to make sure every machine could have perfect effect in your factories.